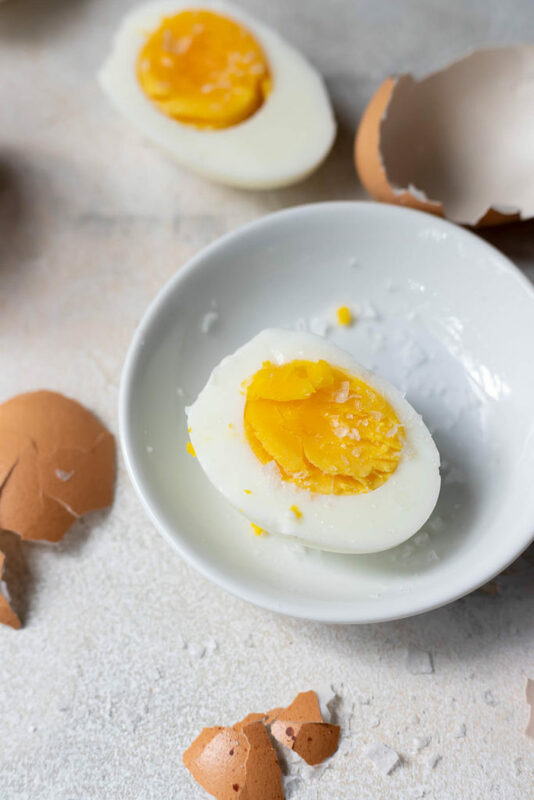 This Air Fryer Eggs Recipe is the easiest way to get perfect hard boiled eggs. 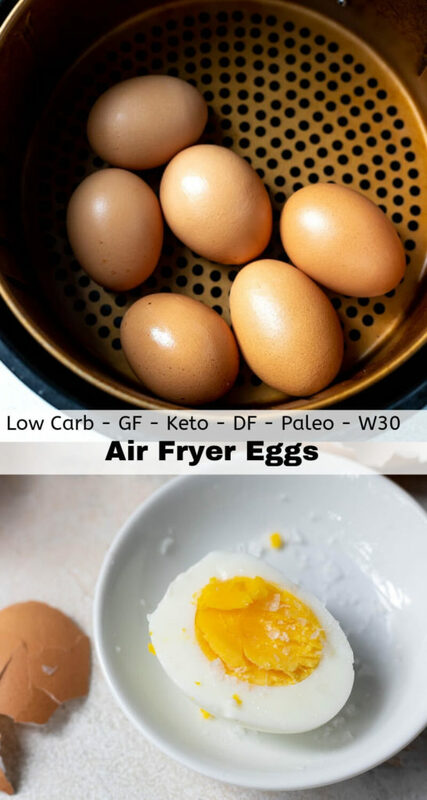 Simply place eggs in you air fryer, cook them up and then cool. The shells peel off so amazing when the eggs are air fried! I have always used the Martha Stewart Perfect Hard Boiled Egg method and it works, well, perfectly. But sorry Martha, from now on it is the air fryer egg method all the way! So we have our Air Fryer Parmesan Potatoes and Air Fried Eggs. Now we just need some bacon to have ourselves a breakfast. No worries . . . Air Fryer Bacon is coming soon! 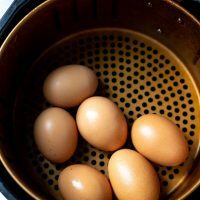 Gently place eggs in air fryer basket. Coat with a very thin layer of oil to prevent the eggs from fusing together. This happens sometimes due to the high heat. This step is optional, you are going to peel the egg shells off anyway. But if you want to ensure that the shells are fully intact for storage, dying, etc. the oil will help. Just clean off oil with a paper towel after eggs are cooked. Air fry at 250ºF for 16 minutes. Let cool in basket for 1-2 minutes before handling then run under cold water and transfer to a bowl. Peel eggs – check out my handy dandy egg peeling trick in the video below! Eat you eggs within 1 week. I usually try to make just enough eggs for 4-5 days personally. You can store your eggs with the shells on or already peeled and ready to go. Now you can totally just eat your hard boiled eggs as is, with a little salt of course. Or you can use your eggs to make something else. 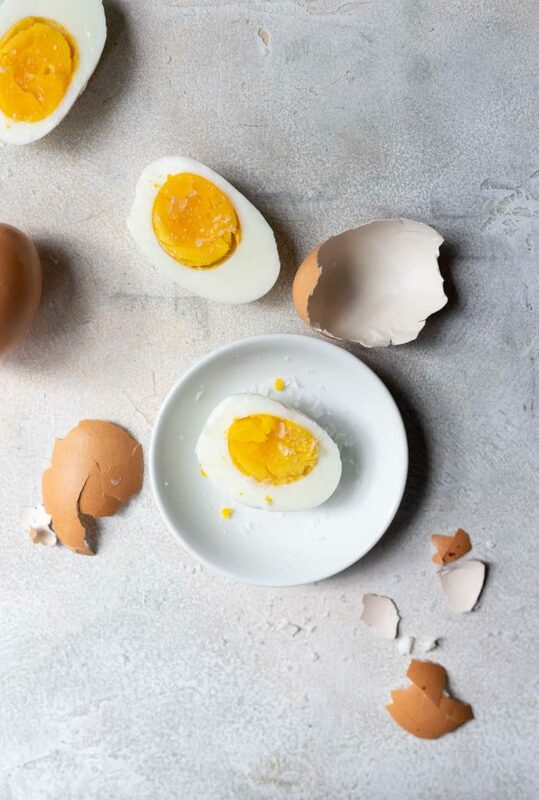 Here are a few ideas for using up those hard boiled eggs. Peel eggs – check out my handy dandy egg peeling trick in the video! 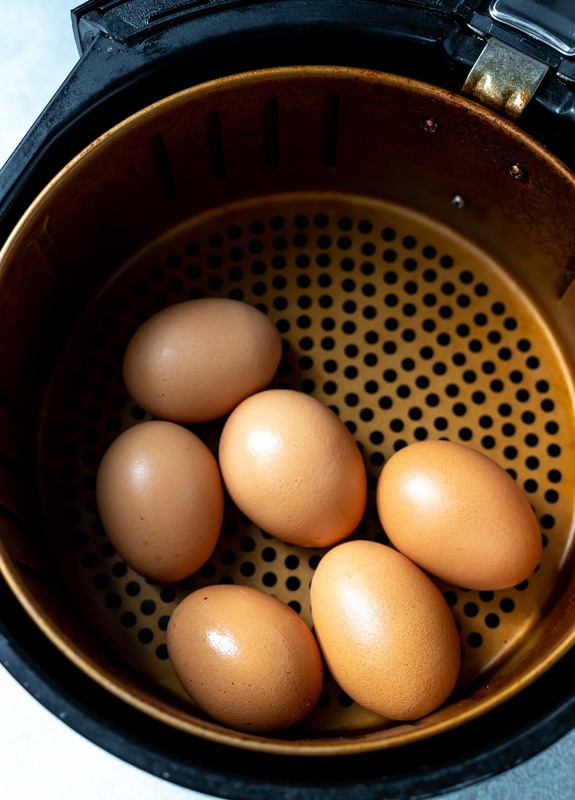 If cooking a larger amount of eggs - additional cooking time may be required depending on the size of your air fryer. 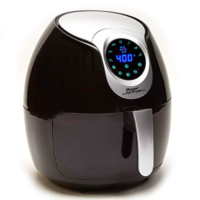 Nutritional information on Tasty Air Fryer Recipes is provided as a courtesy and is approximate only. We cannot guarantee the accuracy of the nutritional information given for any recipe on this site. Sign Up & Get FREE RECIPES In Your Inbox! No Spam.